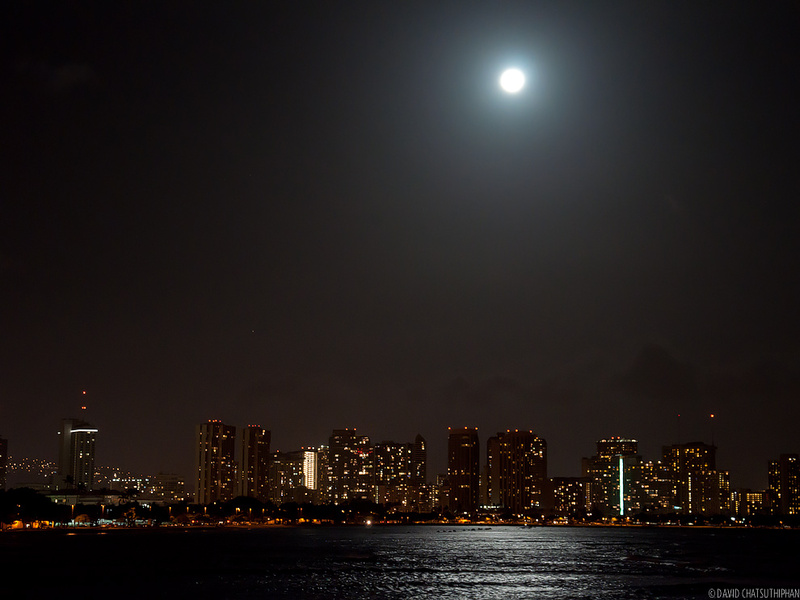 The “super full moon” over Waikiki. 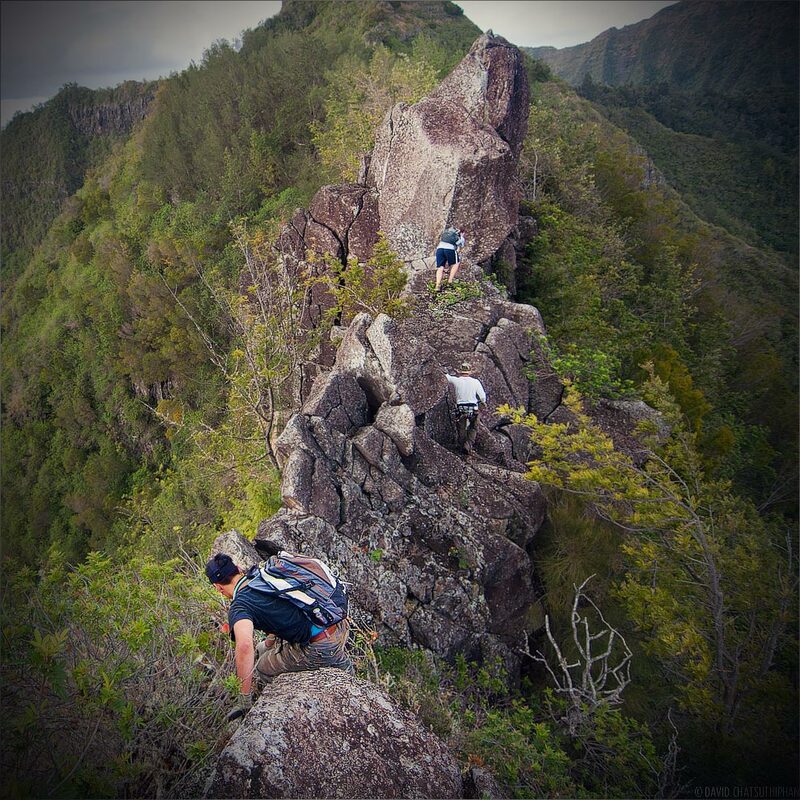 Every 18 years or so the moon passes the Earth at the closest part of it’s orbit. What that means for us Earthlings is that the moon will be bigger and brighter than usual. And as the moon rises over the horizon, it’s supposed to look HUGE. 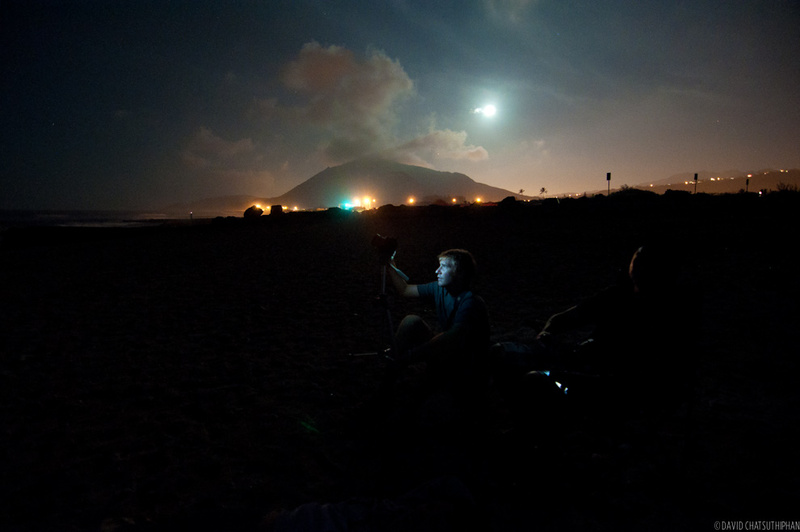 Last Saturday, the 16th, lots of people came out to check out the moon rise. 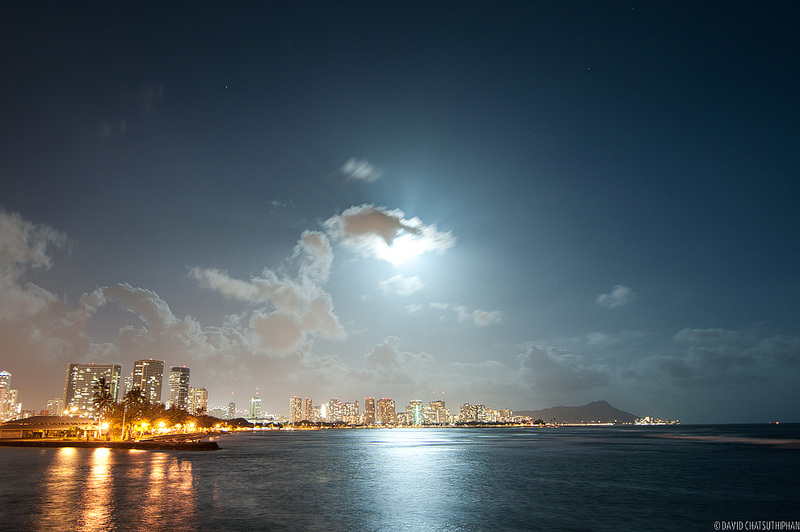 Unfortunately for us in Hawaii, rain clouds passed over the islands during those few minutes when the moon was closest to the horizon. 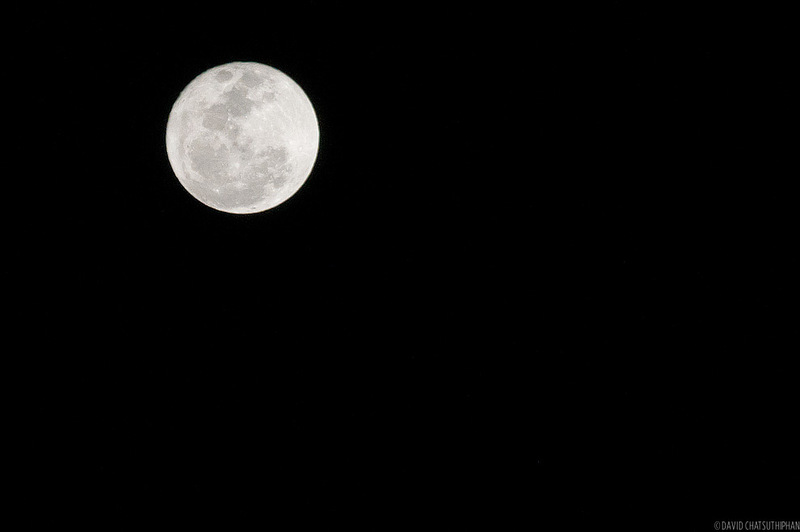 But eventually the clouds dispersed enough throughout the evening to capture some nice night shots. 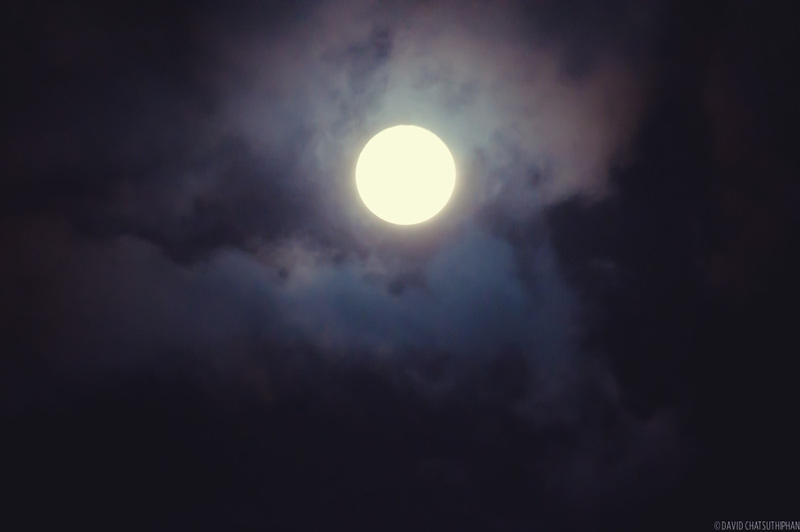 We didn’t see a massive super full moon in Hawaii but it was definitely super bright. 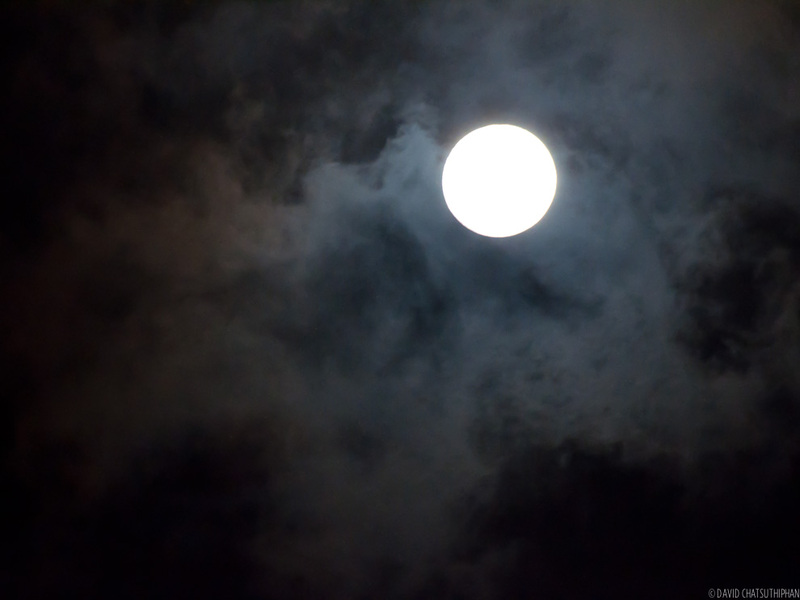 Article and video on the “super full moon” on NASA Science. 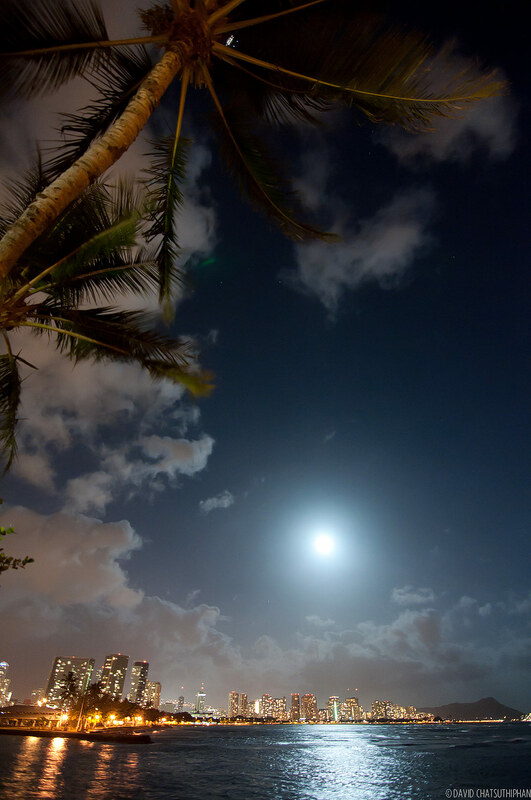 Super full moon photos from Hawaii local photographer Dallas Nagata.